NEW! Get 3 Stars on Boho Level 6 with NO CASH ITEMS! | I Style Me Girl! NEW! Get 3 Stars on Boho Level 6 with NO CASH ITEMS! Style Me Girl updated since I began this blog, so it was high time I revisited the game to see how my examples held up. Upon doing so, I discovered a new method to earn three stars on the ever-frustrating "Boho" level, and how do it without spending ANY cash. I am thrilled to share how I accomplished this with you! 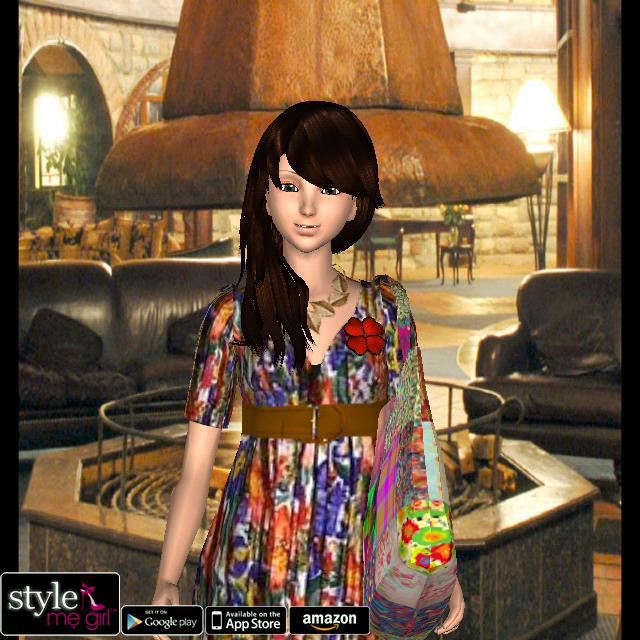 Read on to find out how to get 3 stars on Style Me Girl Level 6, "Boho," without using any cash items! The items needed to earn 3 stars on Style Me Girl Level 6, "Boho," are pictured and described in the list below. The "Closet Items," screen capture image at right can be clicked to enlarge, that way you can see the items as they should appear in your closet in order to have success with this example. IMPORTANT: Do not change or add an eye color. The eye color must be the default color in order to get three stars! Whenever using my examples, they must be followed to a "T," -- strictly adhered to. Any deviation changes the outcome of the final score and star rating recieved. Once you have styled Level 6's model Rachel with the items listed above, you are ready for the photoshoot! It didn't work on the newest version. Could you make one for the new one? It worked for me- I received 3 stars on the new version. Thank you! For some reason they want a gypsy skirt but I don't have any cash left. What shirt should I use for it?